Today's blog is written by guest blogger Ed Marino. Focusing on the customer has to be a C-Level Priority in any company. Customer Focus is about knowing, listening and responding to the customer and the trends shaping the market. While sometimes unconsciously companies can drift into a more internal focus over time… The good news is that Customer Focus can be learned or relearned within an organization that has the right C-Level leadership. Why is this important? Because Customer Focus can make or break a company. Here’s one story about how focusing on the customer helped re-make a business. 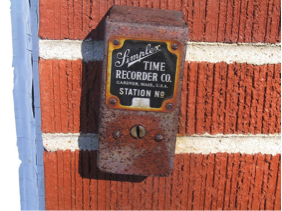 In the early 1980s the Simplex Time Recorder Company (STR) recruited a “turn-around” management team. The goal was to help restore profitability and growth to this iconic company that invented the time clock almost 100 years earlier. One of the challenges this team faced was actually resurrecting STR’s fire alarm and building control systems business. It was the largest segment of STR’s business but it was under heavy attack by competition. The General Manager leading the turnaround sent a team on the road to talk face-to-face with customers to find out what the company had to do to restore its competitive advantage. He told the team to stay out there until they had the answer. He promised that after the 5th or 6th in-depth visit discussing issues with customers, they would have the answer and be allowed back in the office. He was right. The team found that the fire alarm and building control systems functioned extremely well when properly installed. But the problem was that contractors felt the systems were “impossible” to install. The wiring schemes were far too complicated. 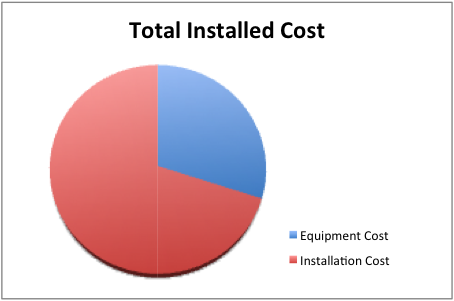 The first graph shows the ratio between installation cost and equipment cost for a typical installation. Far too much money, and far too much time, was spent in the installation process because of the wiring complexity. The electrical contractors were going crazy trying to conform to the wiring specifications and very often the Occupancy Certificate for the entire building was held-up while the complex fire alarm wiring was debugged. As a manufacturer of these systems, STR concentrated on making what they thought was the best equipment, and not on the total cost of installation. They were not looking at things through the customer’s eyes. After listening to several electrical contractors tell this story, the answer was clear. STR had to look not just at its product but to the entire process of installation and support to determine how they could make systems easier to install and maintain. Here’s the interesting part- STR went back to the contractors and asked if they would pay more money for a system that was easier to install. The contractors said: “Where do I sign”. 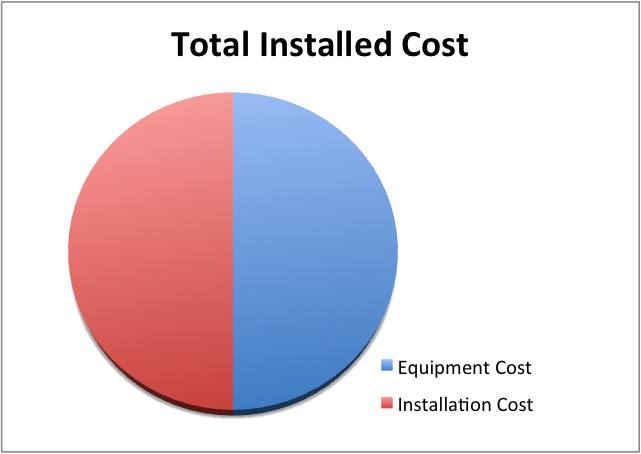 So let’s see how this works- STR can regain its competitive advantage, increase the share of the Total Installed Cost (or put differently increase the price of its equipment), and dramatically increase customer satisfaction if it could solve the installation problem. All of this was learned by listening to the customer- not bad. STR did in fact find a way to reduce installation cost. They did this by embedding small microprocessors into the detectors positioned throughout the building. Doing so allowed for virtually random wiring because the detectors could identify themselves to the control panel instead of being wired in a specific order. The devices were called “smart detectors”, and they took advantage of the technology trend in integrated circuitry. But the real story is the part about knowing the customer and their problems, listening to the customer to truly understand the problem, and then responding to the customer with a solution. Revenue per unit and market share for the company both increased dramatically- mission accomplished. The road-to-success is paved with these stories of Customer Focus. Unfortunately, the road-to-disaster is paved by those who lack it. With more than 30 years of business experience, Ed Marino has spent 16 years in the CEO-Level role for public and private companies in the technology, business-services and marketing sector. He is also a published author of a book titled The Loyalty Payoff, and business consultant as part of Dock Square Consultants.